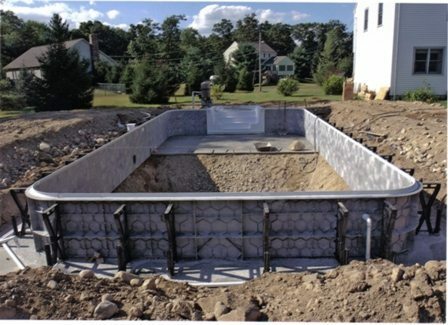 The first stage of any pool construction is getting the site excavated for your new swimming pool. This is where your backyard looks like a war zone. Definitely not the place to hold a birthday party or backyard BBQ. 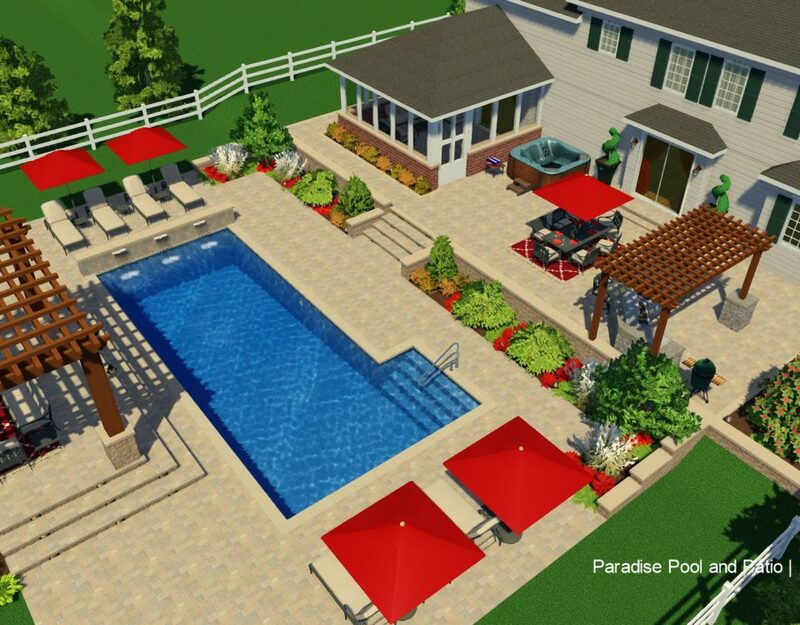 If you live in the Cincinnati area and want a swimming pool, a professional Cincinnati pool excavator will be needed to dig the pool in order to get the process started. Every swimming pool excavation is a little different. Each yard has different elevations, slopes, walk out basements, etc, but the one constant is a lot of dirt will have to be removed or moved throughout the yard. The average sized pool is 32 feet long by 16 ft. with a shallow end depth of four feet and deep end of 7 feet. This equates to 85 cubic yards of dirt. 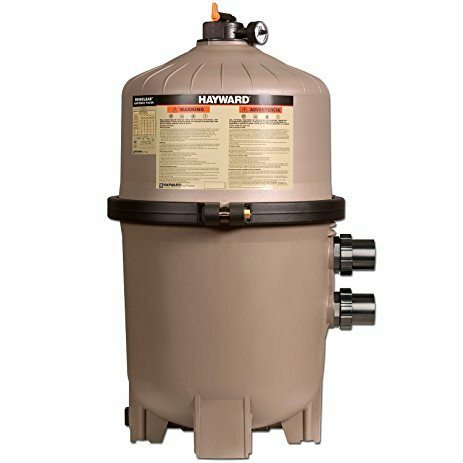 Furthermore, the average density of dirt is 120 pounds for every cubic foot. One cubic yard of dirt is 27 feet, which means the Cincinnati pool excavator will be responsible for removing 137 tons of dirt out of the yard. Think for just a moment – that equates to about 13 truckloads (big) of dirt being moved. For the yards with small side yards or severely sloped, it would normally take 15-20 trucks loads of dirt to get the swimming pool hole properly excavated. Some yards will be more rocky then others. This is expected in areas of Hamilton, Fairfield, Liberty Township, West Chester, Loveland, and sometimes Mason. Usually the rocky ground isn’t too much of a problem. The rocky ground really just makes the digging process take a little bit longer to get fully finished. Not sure exactly where to put the pool? 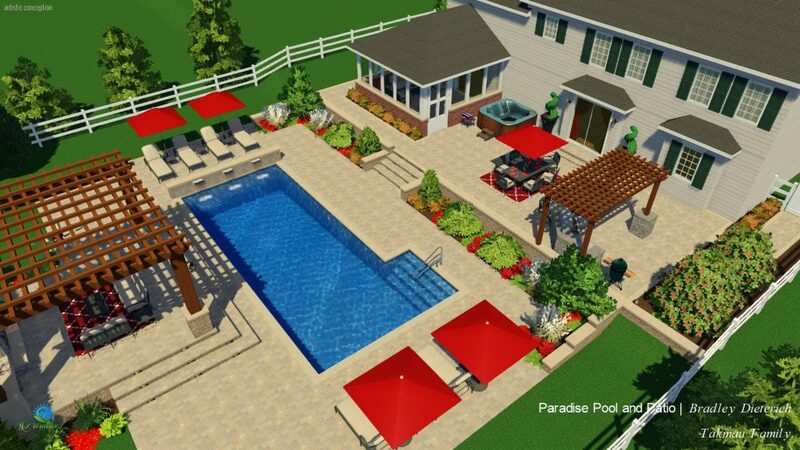 Use our design services and see exactly how the pool will look with your real house and real landscaping via our 3d software. Moving, flipping or rotating the pool can be done in literally one second. After figuring out the general location of the pool, the pool excavator will then to take precise measurements for the layout of the pool. Also he will have to make decide the elevation of the swimming pool. Over digging the pool will extend the construction time. Also over digging will add unnecessary costs to the project. Conversely under digging the pool will result in a lot of hard manual labor to fix the mistake.